Despite his wholehearted dedication to the work with young people in Chyriv institution, Father Beyzym felt the growing need for something greater. He felt the need to sacrifice his own self to God by serving the most miserable, scorned, poor, the least of these. 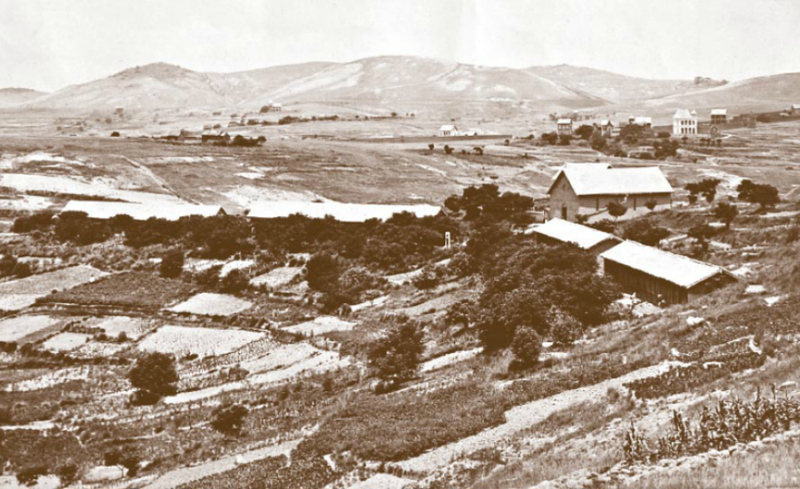 At the age of 48 (in 1898) and after the long educational service, Father Beyzym decided to enter the most uncared-for field of activities (the thought of it made the blood run cold) he decided to devote himself to serving the lepers. He tried hard to get the permission to go to Madagascar and finally the General granted it. On October 17, 1898 Father Beyzym left Poland for good and headed for France. 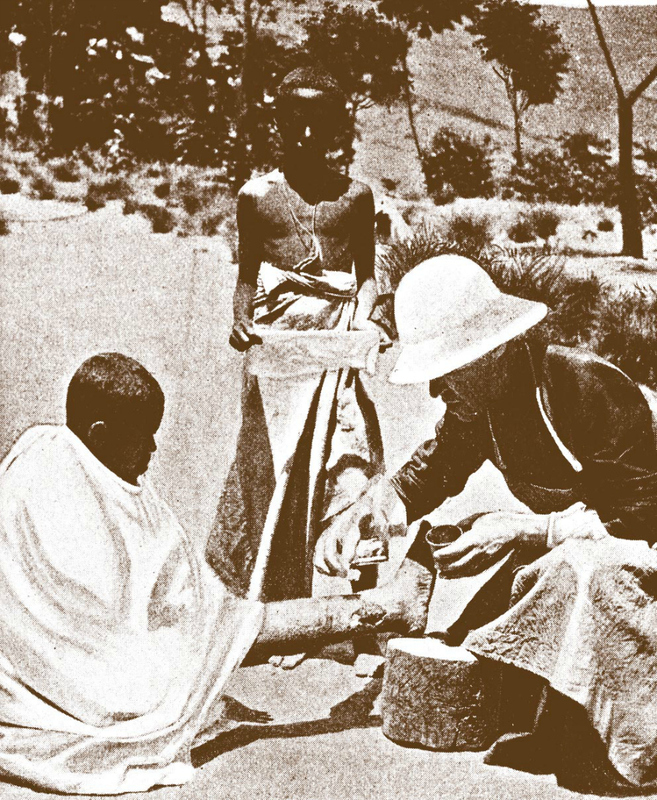 In Marseilles on November 10, 1898 he took a boat to Madagascar. 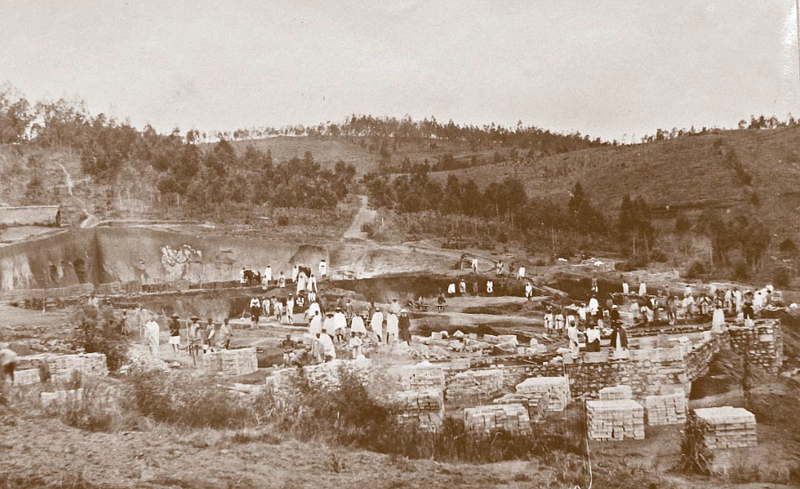 After a long and tiring voyage on December 30, 1898 he got to Antananarivo, the capital of the Red Island. 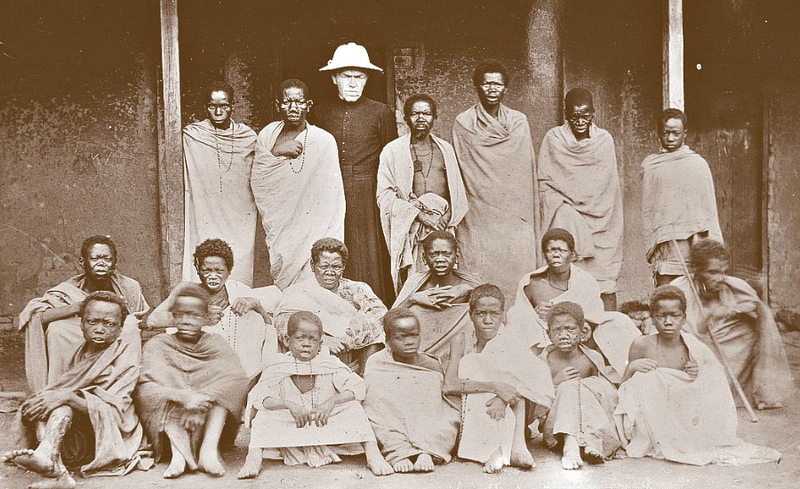 The local superiors assigned him to the leper asylum in Ambahivoraka, which was founded in 1872 and was not far from the capital city. His first encounter with the local reality was shocking. 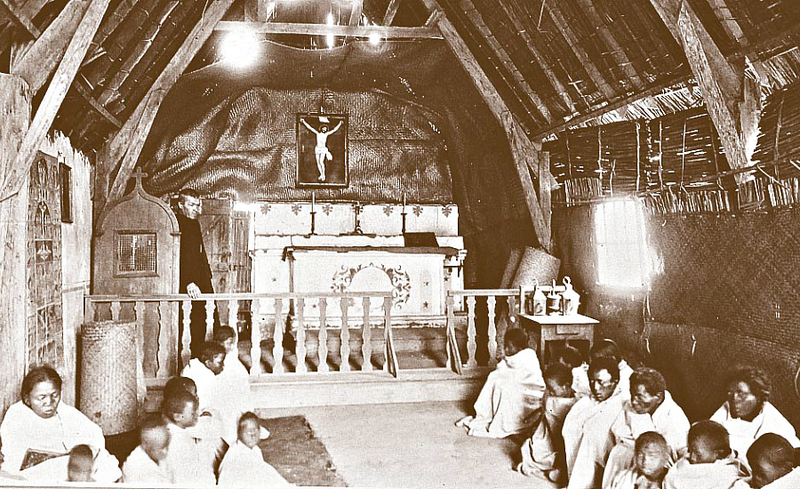 In one of his letters to Father Marcin Czerminski SJ he wrote: ”On my way to the site I thought that I might find some kind of a hospital there but I found only adversity.” In effect it was a “den not good enough even for the dogs.” The lepers lived in dilapidated barracks, divided into doghouses without windows, floors and must-haves. 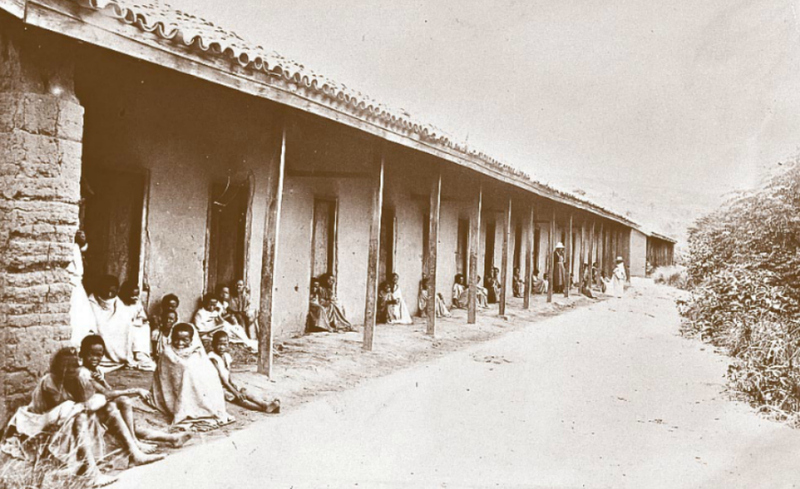 During the rainfall season the barracks got soaked and a lot of people just lived in mud. 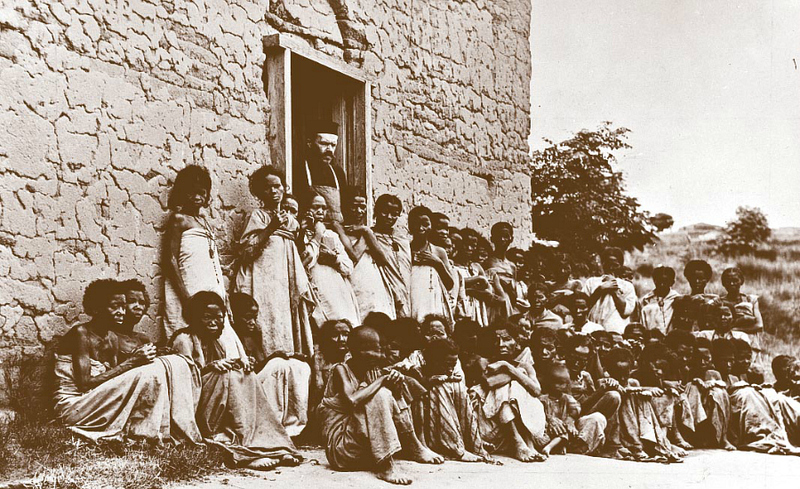 The lepers suffered from venereal diseases, lice and fleas. The authorities and the major part of the society simply deprived those people of the right to exist, treating them like castaways who did not deserve to be called a human. The head of the village forced the poor creatures out of the village and if they dared to come back, he beat them like cattle. When they tried to approach human dwellings to ask for a piece of bread, they were chased away with canes and stones. Those wretched creatures were wandering out the deserted parts of the country and in the state of exhaustion fell onto the ground and died of famine. Having obtained the Superior’s agreement, Father Beyzym started to live in the asylum in a small house close to the barracks. It was the beginning of February 1899. 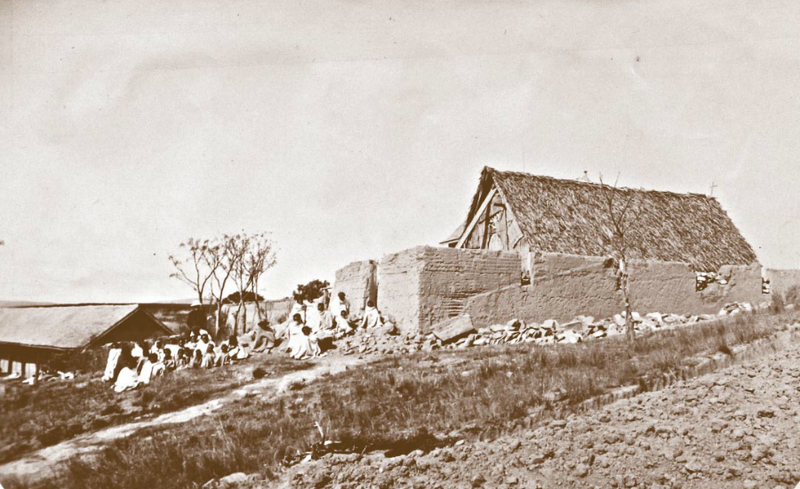 He himself built an adobe house and a chapel. Father got a patch of land for the house construction from an adjacent village inhabitant. Today we can see only the remains of the barracks and both buildings there. To improve the life of the asylum inhabitants and to cheer them up, Father set his heart to plant the garden - flower beds surrounded by weeping birches. This was not the only cause. The main reason for planting the flowers was the putrescent smell of the wounds. To kill the smell, he planned to plant roses and other fragrant flowers. In the letters to his friends in Poland Father asked for gillyflower, mignonette, immortelle and asters seeds, hyacinth and white lilies bulbs and the seeds of a weeping birch. Around the hospital, to contrast the rest of the territory, he planted pine trees for their fragrance. Even today we can see the pine tree alleys, fragrant flower beds around the hospital buildings put up by Father Beyzym. Being the great Creator, Father designed and built everything he had planned. He treated lepers as equals. He tried to find the genuine human values in them. They were amazed with his devotion and care. When he was dressing up the wound for the first time, he was surrounded by a good many people, who hanged on watching his actions. One of the curious told his friend loudly: “ Lo, but look! He is touching the wound! He is not afraid of it!” The man was the greatest concern of Father Beyzym.